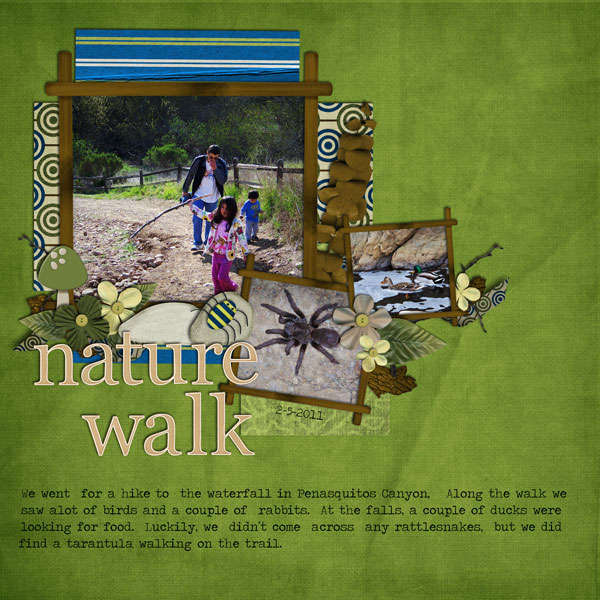 Students learn to observe, identify and record interesting discoveries by sketching and recording observations in a Nature Diary (also called Nature Sketchbook, Creation Notebook, Nature Notebook, Nature Journal, Discovery Journal, etc). You can step it up a notch by adding digital photography and digital scrapboking. Your children will learn about photography, layout and design as well science and appreciating God’s creation. My favorite pages are the ones with children and nature! Digital scrapbook is MUCH cheaper than regular scrapbooking. Going digital requires no scissors, glue, mess, or storage room–all the work is done on the computer. Students use digital scrapbook methods to add sketches, photos, poems, copy work, journaling, etc. You can share their nature pages online, keep on a CD, or print from your computer. Go on a discovery adventure. No need to go far, start in your backyard. Everyone must find something God created (bugs, plants, birds, etc) to be drawn and researched at home. Once your child decides on a topic go home and research it using books like Handbook of Nature Study or Creepy Crawlies and the Scientific Method. Students use copywork methods to journal beside their sketches (by hand or on the computer). We include Bible verses too. 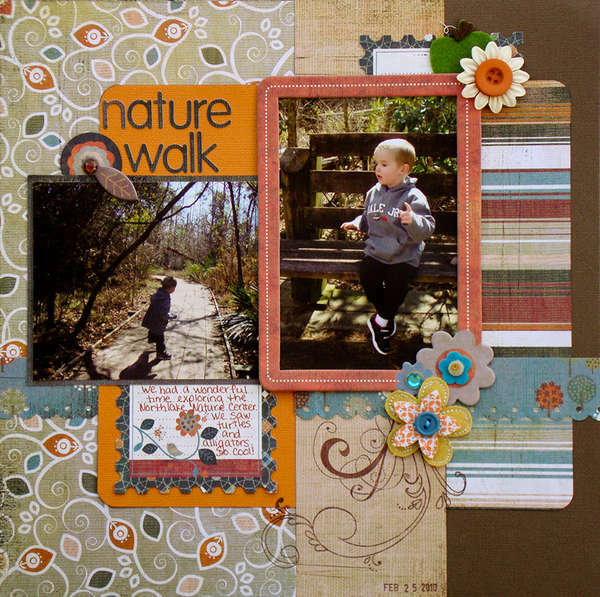 These gorgeous layouts below use Nature Sketch digital scrapbook kits from Cottage Arts. Here mother and child both enjoy creativity: mother makes the pages and scans in daughter’s artwork. The pages below don’t require as much artistic talent as it looks. The journal pages are ready to use – you just add photos or sketches and journaling. Kids LOVE it. My boys beg to digital scrapbook. Keeps them busy for hours! What about you? Do you keep a Nature Journal? Do you scrapbook to learn? Does it sound interesting to you? there’s so many fake people that just like to play up to the cameras — bandwagon-hoppers, They like to jump on whatever’s good, It would’ve been okay to vote off Phillip. she said he’s the craziest person, I mean, you should’ve listened when you had the chance. you may be voted out. You never know. ETonline: When you say that they were playing to the camera, I mean. The P6 array, one of four attached to the station’s main truss, was launched in November 2000. Six of its batteries were replaced during a shuttle flight in July 2009 and the other six, well past their 6.5-year design life, will be replaced during Atlantis’ mission. During the first spacewalk on flight day four, Reisman and Bowen plan to install the backup Ku-band dish antenna atop an 8-foot-tall mast and mount an equipment support platform on a Canadian robot arm extension. During the second spacewalk, Bowen and Good will begin work to replace six 365-pound nickel-hydrogen batteries on the far left end of the station’s main power truss. Once the new battery is in place and electrically connected, the astronauts will move the old battery from its temporary mounting point and install it in the cargo carrier for return to Earth. That process will continue until at least three and possibly four batteries are installed. The remainder will be installed during the third and final spacewalk on flight day eight. While Anderson and Mastracchio are working outside, the astronauts inside the station will be working to unload the Leonardo MPLM. Among the items scheduled for transfer during the spacewalk are the minus 80-degree experiment sample freezer, known by the acronym MELFI, and a new crew cabin, the fourth and final U.S. cabin to be moved to the station. During their second “day” in space, the astronauts will use a 50-foot-long boom attached to the end of the shuttle’s robot arm to inspect the ship’s reinforced carbon carbon nose cap and wing leading edge panels, which experience the most extreme heating during re-entry. “But now that this has cycled through all three machines it is very clear there is some generic, probably software related problem,” he said. Assuming an on-time launch, the mission’s first spacewalk will begin around 1:40 a.m. on April 9. It will take three excursions to move the new ammonia tank into position, remove the old tank, plumb the new assembly in its place and then move the old tank back to the shuttle.